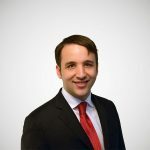 What Places Benefit Most From the Earned Income Tax Credit? The Earned Income Tax Credit is a policy designed to help working Americans with low incomes. For a more general overview of what it does, I’ll refer you to this piece we put together last year, which explains it in more detail. The EITC is claimed by individual tax filers, of course, but if you map the claims on a more regional basis, you can see how the EITC is also—aggregated over millions of filings—a program that delivers an influx of cash to distressed areas in the United States. 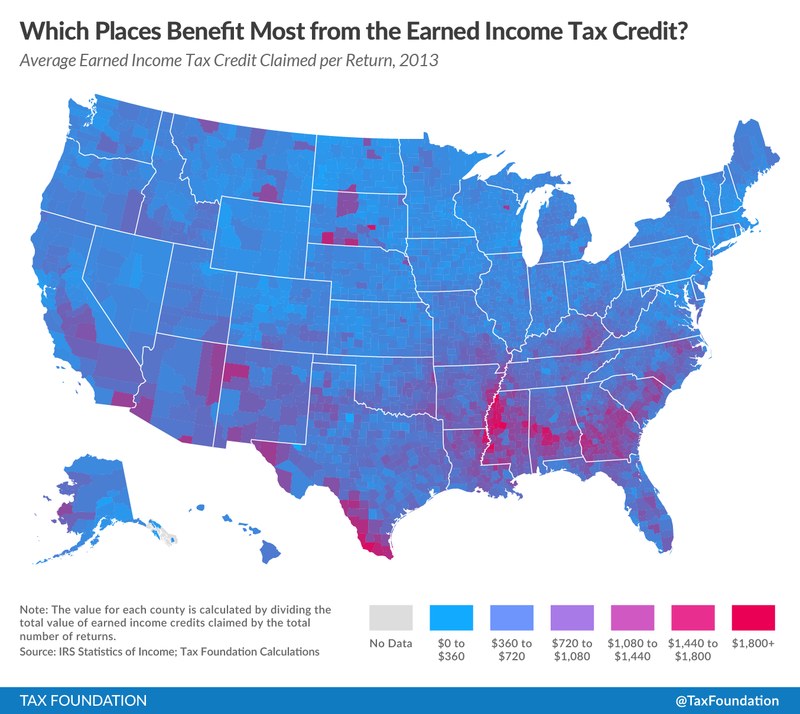 The map below shows the average amount of EITC taken per tax return in every county in America. In some places—like the northern suburbs of St. Louis, Missouri—the average amount ($224) is close to zero, reflecting the fact that most people there are too well-off to file for the EITC. However, some places, where the EITC is more prevalent, have much higher averages. The Mississippi Delta, South Texas, Eastern Kentucky, and some of the South Dakota reservations stand out at first glance; these are some of the areas of rural America that have lower incomes—and, through the EITC, get some help. Among these is Wayne County, Michigan (that is, the county that includes Detroit) relies on the EITC more heavily than the rest of the state. Additionally, over on the East Coast, you can make out Philadelphia, Baltimore, and the Bronx. The EITC, in other words, is a tax provision that helps low-income Americans in both rural and urban counties.